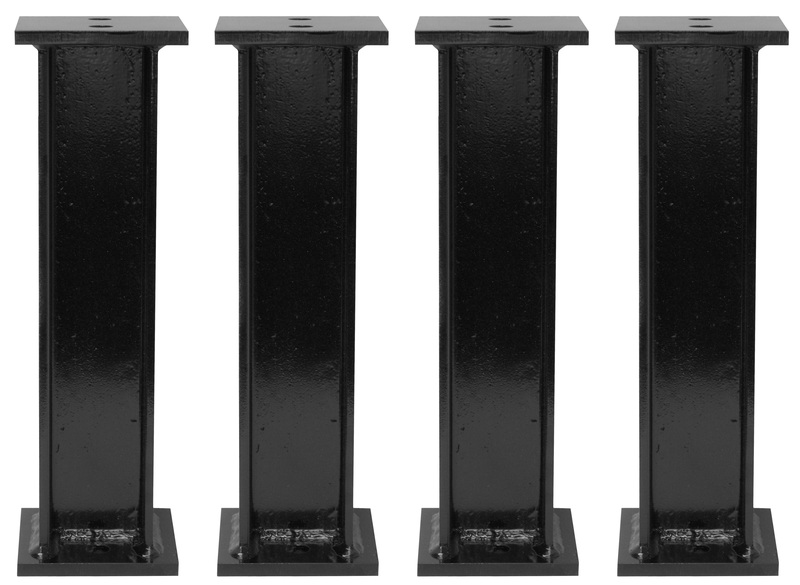 Leg Extensions – Bolt-on leg extensions allow you to increase a stationary machine’s height 10” or 20” therefore reducing the gap between the bulk storage hopper and the machine’s camlock and increasing the clearance beneath the machine for ease of access and maintenance. 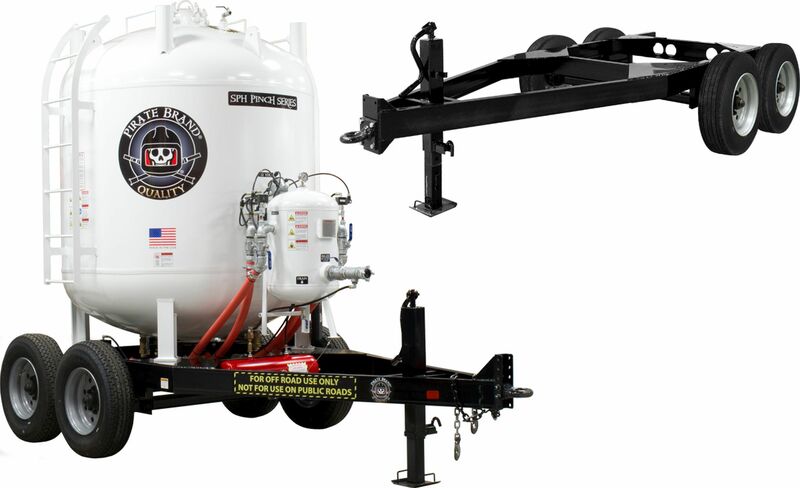 Skid Mounting – Skid mounting of your bulk unit allows you to easily move the unit with an appropriately sized forklift while providing a stable base during operation. 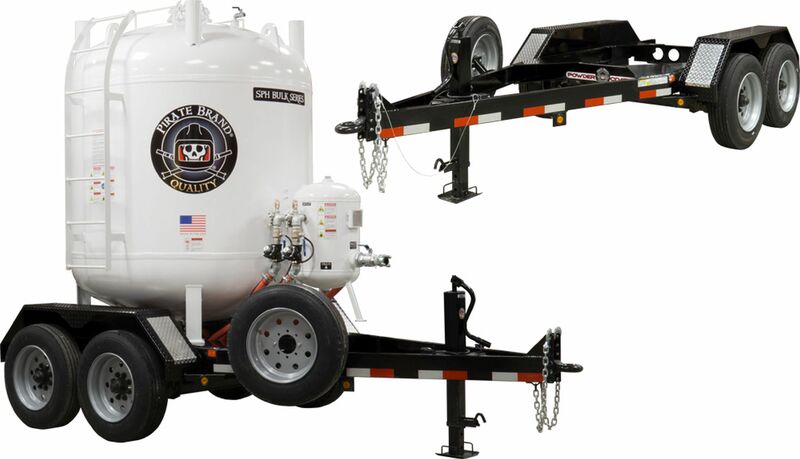 Yard Trailer –	The yard trailer upgrade allows you to tow the unit quickly and easily on the jobsite. 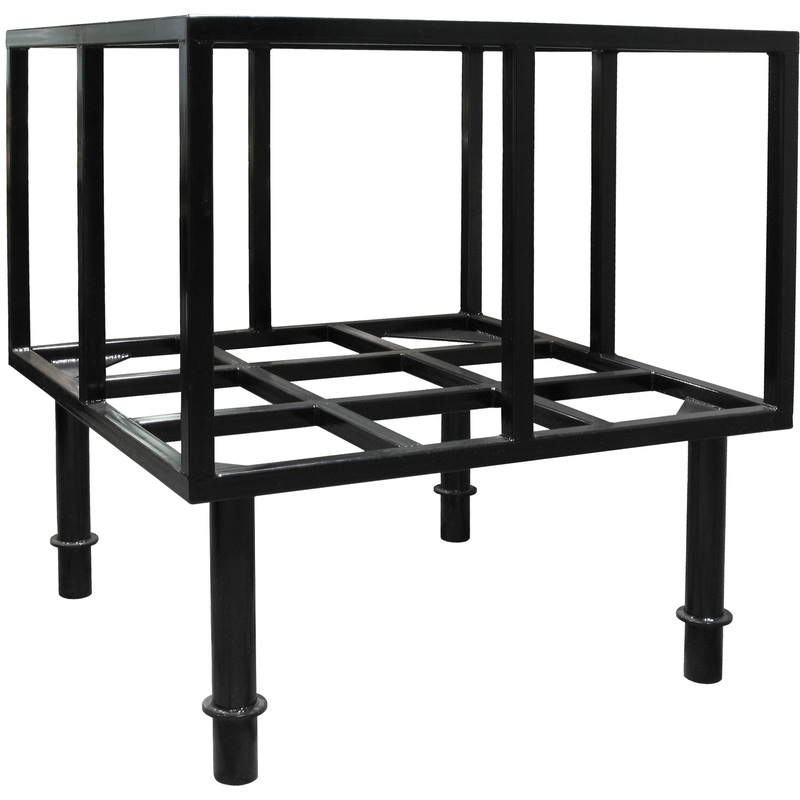 Heavy duty trailer is powder coated black and includes mounting brackets and holes for pinch valve setups. This setup is not suitable for traveling at highway speeds on public roads – designed for off-road use only. 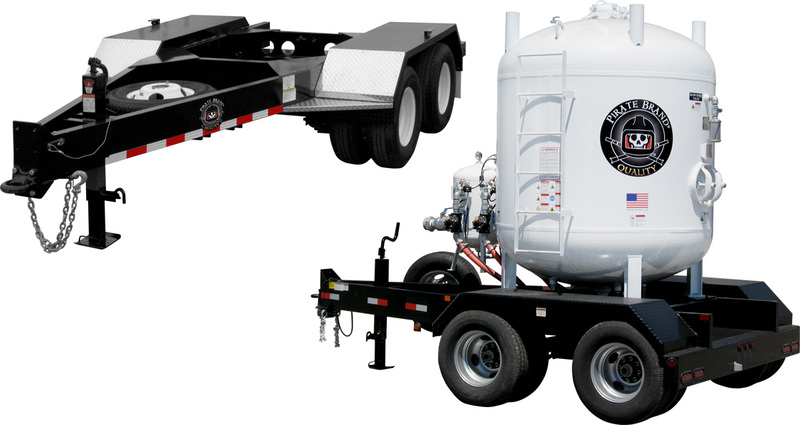 Highway Trailer –	The highway trailer upgrade features the same onsite portability and convenience included with the yard trailer option, but with the added benefit of being mounted on a DOT approved platform. 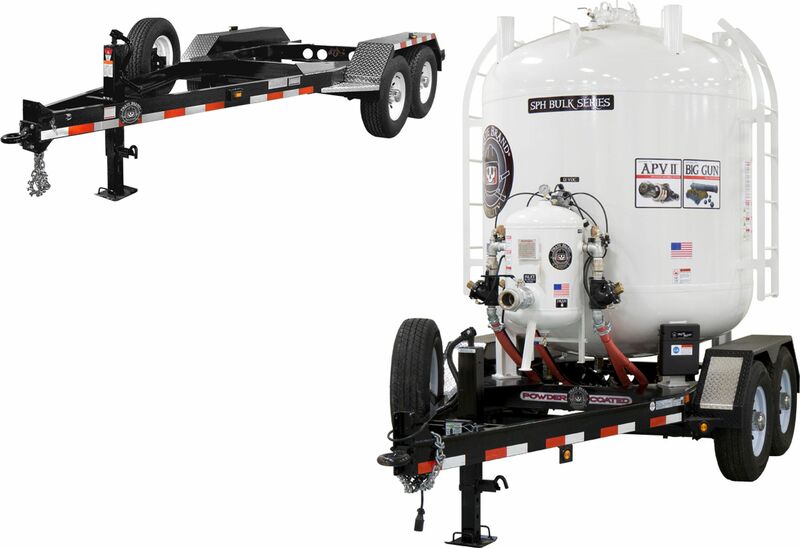 These units come standard with heavy duty axles, lighting packages and a mounted spare tire. 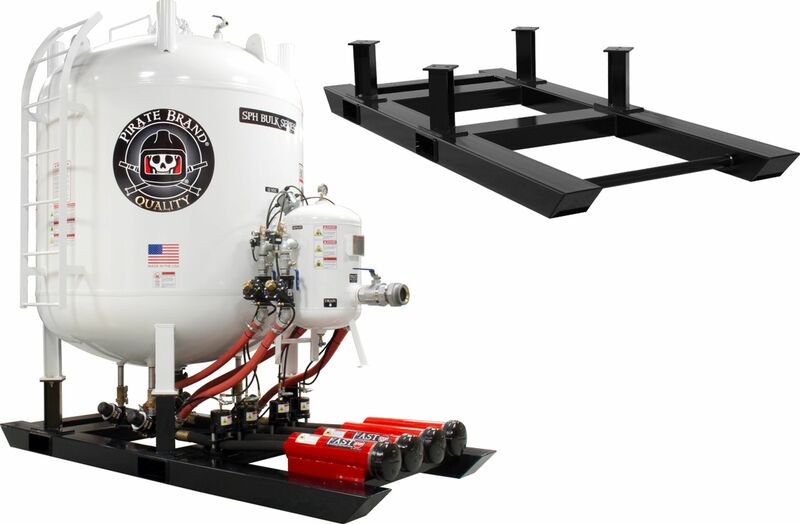 Moisture Separator Upgrade – Moisture contamination in your airlines can lead to premature failure of valves that contain rubber or metal components and cause abrasive within the machine to bind together stopping abrasive flow and potentially require costly shutdowns to clean out the vessel’s interior. 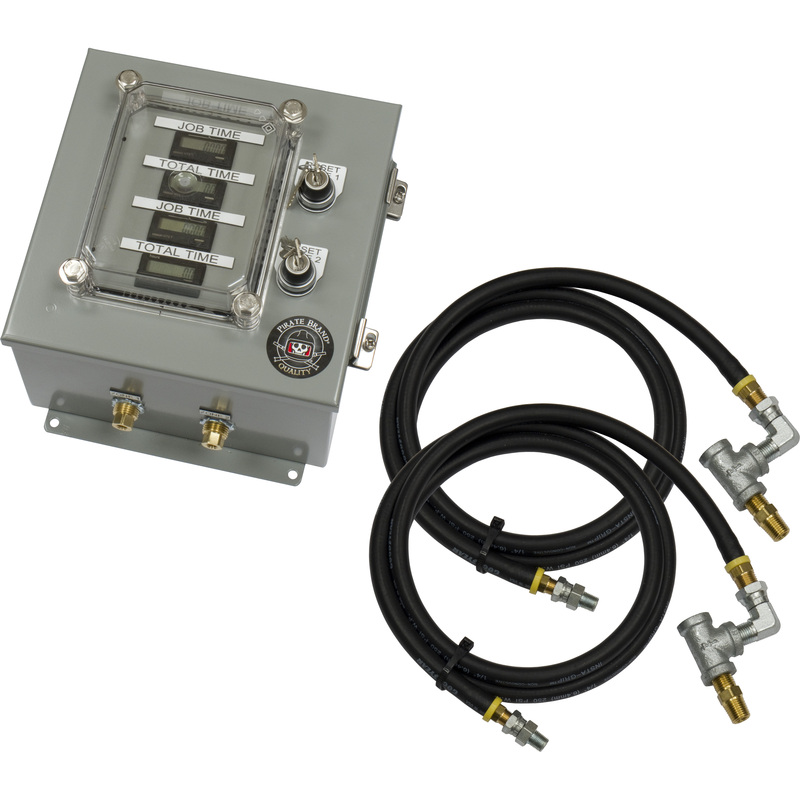 The optional 1,600 CFM moisture separator will help to eliminate this inline moisture prior to the air entering the valve system and vessel thus reducing downtime and greatly extending valve system’s lifespan. Blast Machine Timer System –	Forecast’s timer control box allows you to record and monitor the total amount of time that the blast machine controls are engaged. This data allows you to track machine usage throughout a given timeframe or job period and help with ensuring that you are on track with job costing. If you have an in-house maintenance program, this unit provides for easy tracking of machine wear and usage. No external power supply necessary – this unit’s power is generated by a high power 10-year lithium battery. Boxes can be made to support up to four outlets. Information can only be reset with access keys provided thus preventing unauthorized tampering with the unit. 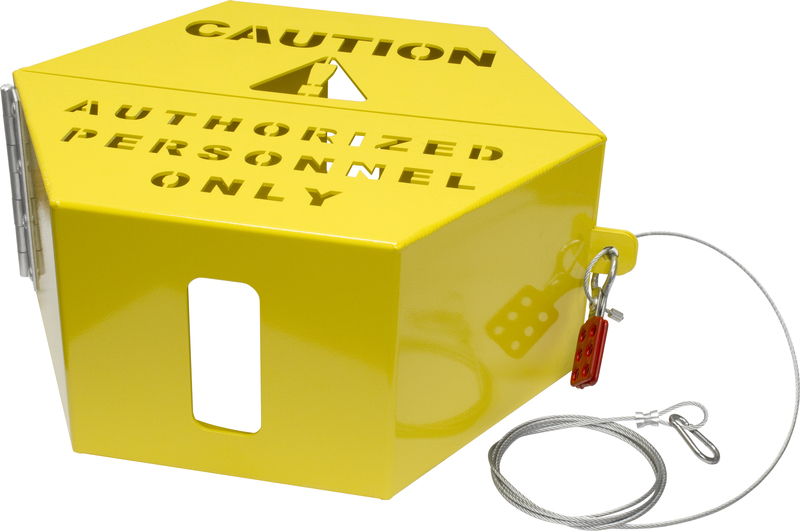 Lock Out/Tag Out System – In order to comply with safety regulations inside of plants, refineries or other safety stringent facilities, Forecast offers a lock out/tag out unit mounted directly to your unit’s camlock assembly. 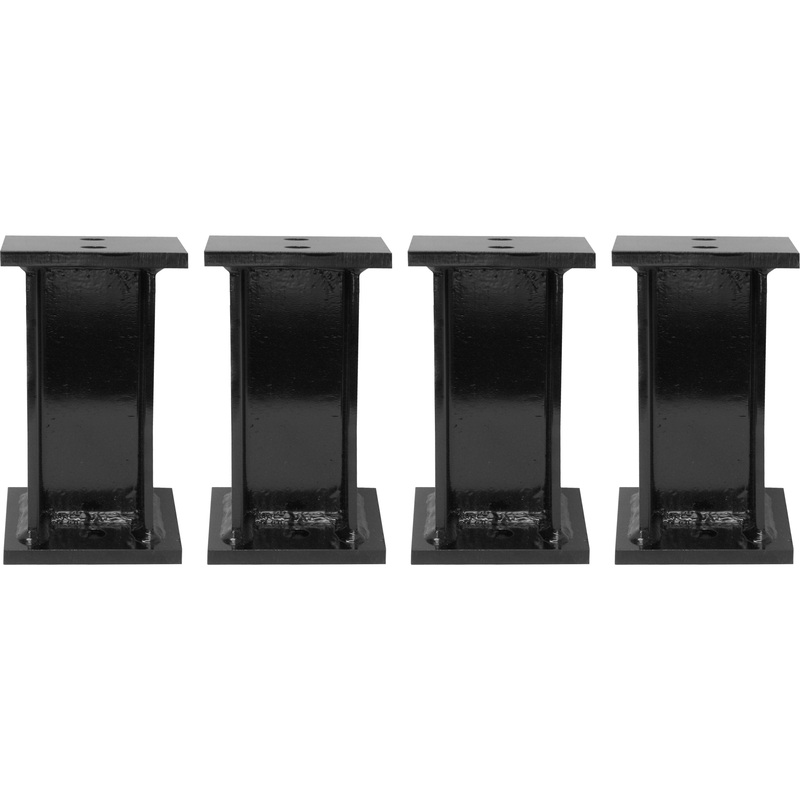 This unit is built out of lightweight aluminum and comes powder coated safety yellow. 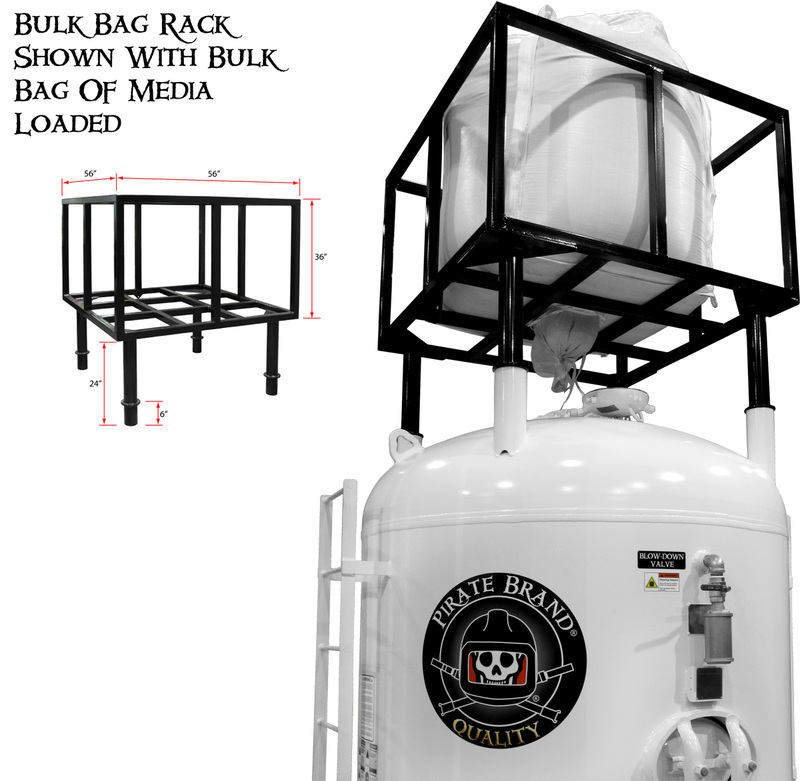 Bulk Bag Rack System – The bulk bag rack allows you to take advantage of the cost savings associated with buying material in bulk bags while providing a safe and easy method of loading and transferring that material into your bulk unit. 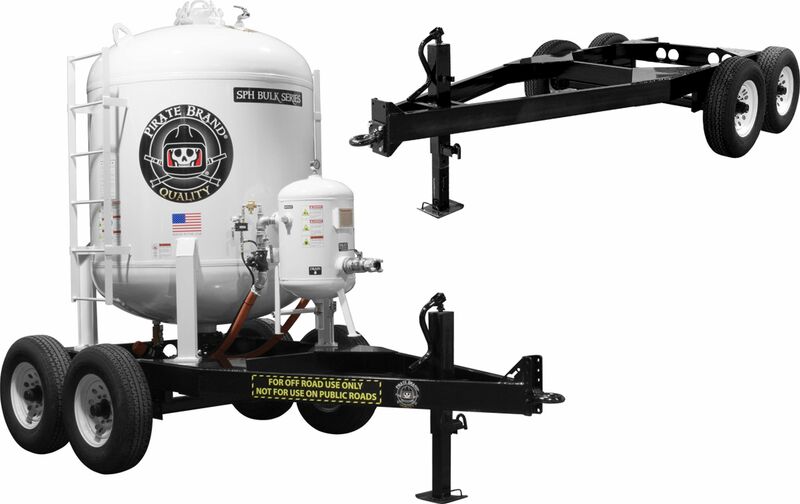 Bulk Storage Hopper – Bulk hoppers allow you to load a truckload of bulk material (via pneumatic trailer) directly into the hopper for easy dispensing into your bulk or portable unit. Buying material in bulk loads offers the greatest cost savings and largest return on investment. 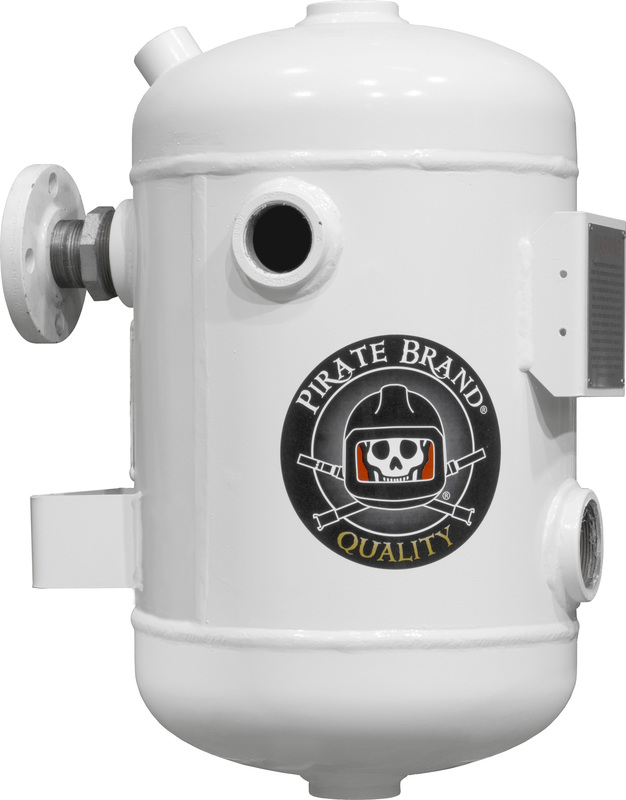 Note: This is item can be used with any brand bulk or portable blast machine.